Creating a positive user experience (or UX) on your company website can be the difference between engaging consumers and sending them to your competitors. Producing websites that are adaptive and flexible to consumer needs will ensure your customers return to your site again and again. 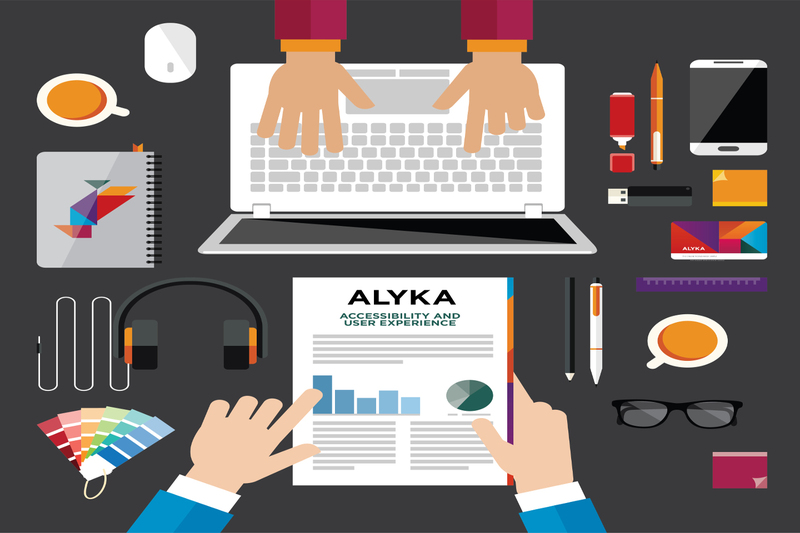 Our recommended digital marketing partner Alyka produces innovative websites that are responsive and engaging for users. We asked them to identify three components that are critical to a successful website: information architecture, user experience, and accessibility. The art and science of information architecture is in creating clear paths for users to access your content. This is vital for websites with large amounts of content and complex requirements, such as large corporations or government agencies. Effective information architecture and great user experience go hand in hand when it comes to creating a website that will stand the test of time. Information architecture can also help with the optimisation of content, ensuring online search algorithms from providers like Google can easily identify content and rank your website higher in search results. Creating the right UX generates higher customer engagement, greater lead generation, higher return visits, and better responses to call to actions. The experience you offer customers through your website could be the difference between repeat sales or consumers turning to competitors. When coupled with well thought-out information architecture, a positive user experience will ensure users not only spend more time on your website but come back time and time again. Simple considerations such as responsiveness and webpage tabs that are easy to navigate could make a significant difference to the number of visitors to your website. ●	Wireframing – Also known as a page schematic, wireframing refers to the process of mapping the framework for your website and determining the hierarchy of information. ●	Full visual design that considers mobile and desktop – Did you know that 96% of smartphone users have encountered a website that is not designed for mobile devices and 48% of users get frustrated when a business has not optimised their website for mobile? In today’s mobile society, it’s important to ensure your audience can connect with you on any device. ●	Clickable prototypes – producing a test website with full functionality, including clickable menus and content, will enable you to assess the UX prior to going live. ●	User testing – It may sound simple, but it’s always best to test your own website to find out where you can make improvements to the accessibility of information. Websites are accessed globally, so it’s important to consider the needs of your potential users – locally as well as abroad. On the compliance side, large organisations and government agencies need to support and meet The World Wide Web Consortium Guidelines (WC3) for accessibility, and local, state and federal governments also need to be compliant with Web Content Accessibility Guidelines (WCAG) version 2.0 Level AA. This includes optimising content and formatting each page to work alongside assistive readers to improve accessibility and UX for all user types. It is best to consider all of the various types of users that could access your site in the early stages of development to ensure that your website is built to last. Alyka’s recent update to the City of Cockburn ARC website featured a best practice approach to combining accessible content principles with user centred design. Implementing this approach created a premium web solution that demonstrates an innovative approach to local government interaction with the public through the web. Since upgrading the website, ARC's organic traffic has increased by 220% when compared to the previous period. For more information on user experience, contact Alyka on 08 9200 4429.